When an employee is injured on the job or becomes ill from the work he or she performs, the vast majority of the time he or she will not have the option of pursuing a personal injury lawsuit against his or her employer. That is, assuming that he or she worked for an employer who has workers’ compensation insurance coverage, which is legally required for Florida employers who have: one or more construction employees, four or more non construction employees, or six or more regular agricultural employees, according to the Financial Office of Florida. In most cases, workers’ compensation immunizes employers from a tort suit. This means that you can file for workers’ compensation benefits but you cannot sue your employer. However, this is not always the case. There are times when you may file a personal injury lawsuit against your employer. When you have that option, as well as the option to file for workers’ compensation, you must “elect” your choice of remedies sooner or later. This scenario is referred to as an “election of remedies”. And, it is important to note that you while you have the option of either, you may not choose both, so you must choose wisely with the help of experienced attorneys such as those at Celeste Law Firm. Conduct that the employer knew was almost certainly going to cause death or injury to the employee based on A) past similar accidents or B) explicit warnings specifically identifying a known danger. And, the employee was not aware of the risk because the danger was not apparent and their employer made an effort to cover up or misrepresented the danger so that the employee could not use informed judgment. If your employer denies that the accident happened on the job and your employer was negligent in causing your injuries. 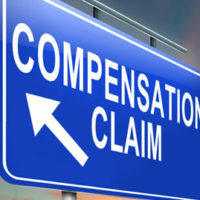 Workers’ compensation benefits, while designed to be expeditiously provided, seldom are. Medical coverage may be inferior, and the legal hassle involved can be monumental. However, there can be an equal or even greater downside to pursuing a personal injury settlement or lawsuit even though monetary damages may be greater than in a workers’ compensation case. Reaching a settlement can take a long time, and going to court to follow through with a lawsuit is costly. The decision should never be made without serious consultation with your lawyer, and it may take time to figure out which option is doable and most beneficial for you and your family to pursue. Call the West Palm Beach workers’ compensation attorneys of Celeste Law Firm today at 561-478-2447.